I love shopping, I love clothes and I love designer pieces. But, I also know I need to budget and not blow all of my income on my wardrobe. So, what’s a girl to do? Well, I’m here to tell you that you can have your clothes and not be broke, too. 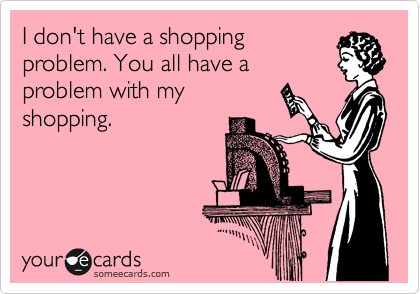 You just need to learn to shop smarter. And it’s easy. Here are my tips for those who want to shop smart and snag some deals. Install Shoptagr on your browser immediately! Shoptagr, the self-proclaimed “smart shopping assistant” lets you shop online and save anything you like, then it notifies you when something you’ve saved goes on sale. Ummm, why didn’t I think of this?! It’s literally stupid easy to setup and use, and once you get it you never have to worry about missing a sale ever again. Install Honey on your browser, too. Once installed, Honey will automatically scour the Internet and find coupon/promo codes and apply them at checkout so you can get the best deals and save the most cash. This is free, super easy to setup and will absolutely save you money. Shop at multiple stores. Whenever I find a piece that I want, I save it on Shoptagr (duh!) and then I search for what other stores are carrying it, too. You are much more likely to find a sale if you save the same item from multiple sites. Department stores and larger online retailers are usually your best bets since they carry a lot of different brands. Some of my favorite stores are Shopbop, Revolve, Nordstrom, Saks Fifth Avenue, Neiman Marcus and Bloomingdales. Decide what items are worth investing in or splurging on. There’s a reason why people say, “you get what you pay for.” Some items are worth spending more money on, especially when they are closet staples, timeless pieces or things that should last you. You’ll have to decide for yourself what items you are willing to splurge on, but I suggest things that will stay in style and things you will wear often. Personally, I’m willing to spend more on shoes, jackets and purses as I think nice accessories can make an outfit. I also spend more on jeans because I wear them all the time and the fit isn’t the same with cheaper jeans. Look for dupes of high end pieces. Another reason to shop at a variety of stores is that you can start to familiarize yourself with what high-quality, high-end designers are making and then you may be able to spot dupes from lower-priced brands. This does take practice and the real key is to not just look for dupes (because there are a lot of those our there) but rather look for good dupes. If you can, wait and shop at the end of each season. This is when stores have the best deals! For example, at the end of the summer buy sandals, bathing suits, sun dresses and shorts and wait until the end of winter to buy things like boots and winter coats. This is when stores are slashing prices and trying to make room for next season’s inventory… so take full advantage! Do you have any tips for finding deals or saving money? Let me know in the comments below!